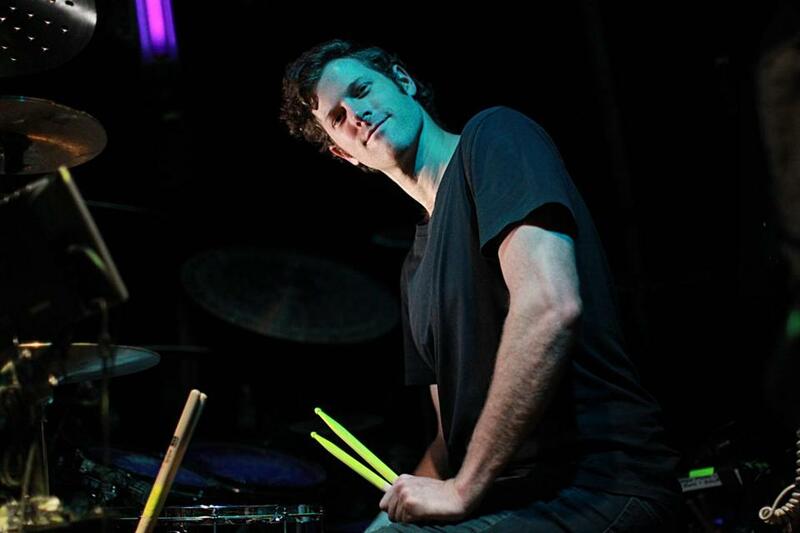 Northborough native Kyle Harris on joining the acclaimed ensemble and its upcoming Drum-Off. I started drumming when I was 8. I was just really interested from the first second I made sound from it. My parents aren’t musicians — they’re both dancers, actually. They really encouraged me being creative and pursuing something in the arts if I was interested. As a kid, it’s fun to hit stuff and make a lot of noise. I did what kids do — pots and pans. I was able to do the symphonic band and the jazz band [in high school] and play productions. [In college,] I made the drumline as well as drum corps. Last July, [my friends] were saying, “You should do the Drum-Off.” I made it to the finals. After Christmas, [the Blue Man Group] said they were going to be auditioning people. For the next month, I basically locked myself up, practicing four to six hours a day. I got hired on February 5, and my first official day of work was that Sunday. That’s when I watched the show for the first time. It was a totally insane experience of the senses. It’s like this constant conversation that’s happening between the band and the Blue Men. As a drummer, you’re feeling like the fourth Blue Man right with them. I do other things outside of [Blue Man Group] because it’s only a couple of shows a week. I play in some of my own original bands, play music with friends, and I run a drum school here in Boston I started called Boston Drum Lessons. At the festival, [competitors] are going to be playing their solo as well as the music we’re going to teach them. Basically, we’re trying to showcase the local talent, like the experience was for me last year. [Only] they’re going to be playing with the Blue Men. FACE-OFF Watch competitors perform with Blue Man Group in the Drum-Off finals as part of the Outside the Box music festival on July 16 at 1 p.m. For more information, visit blueman.com/bostondrumoff.